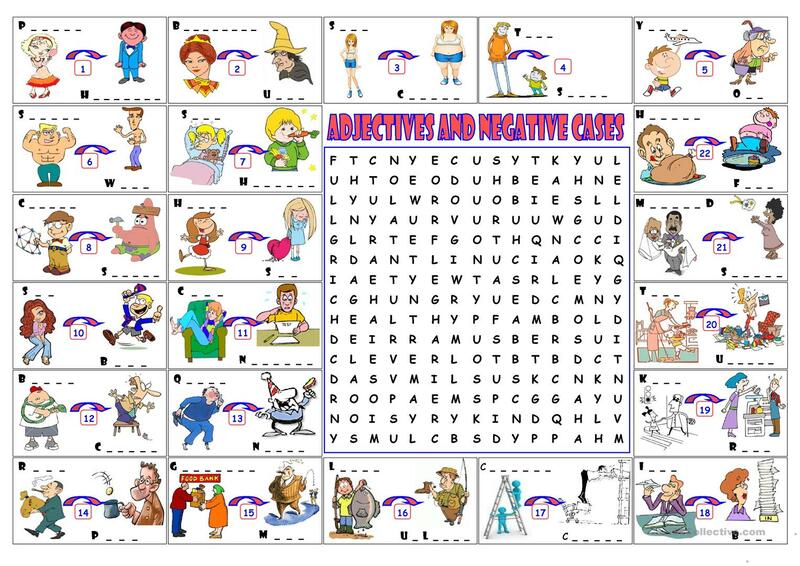 A wordsearch about adjectives and their negative cases for people. 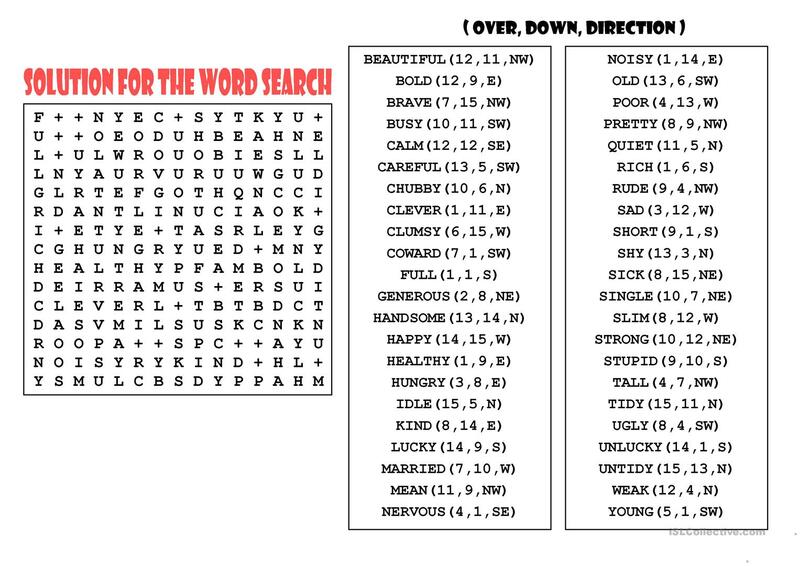 Solution for the wordsearch is given. This downloadable teaching material is best suited for elementary school students at Pre-intermediate (A2) level. It is valuable for revising Adjectives: Opposites in English, and can be used for strengthening your pupils' Writing skills. 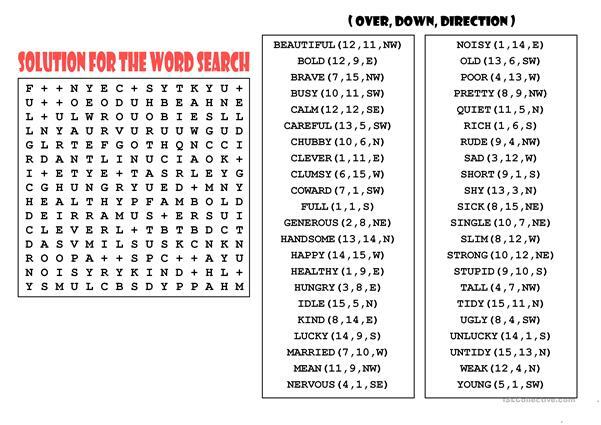 You will find the key at the end of the worksheet.